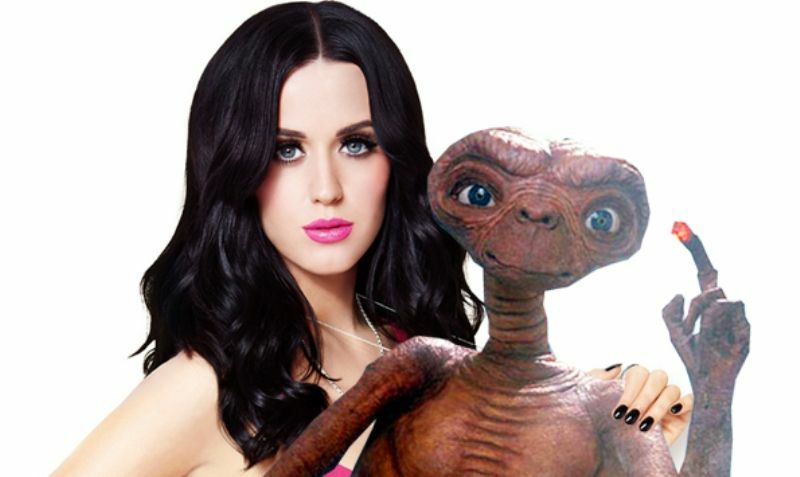 20 Interesting Facts About Katy Perry | OhFact! The singer’s real name is Katheryn Elizabeth Hudson which she changed to avoid the confusion with actress Kate Hudson. Perry is her mother’s maiden name. Both the parents of Katy Perry are pastors. She was raised in a conservative family where she was not allowed to get indulge in any sort of music. She wasn’t even allowed to read Harry Potter books. 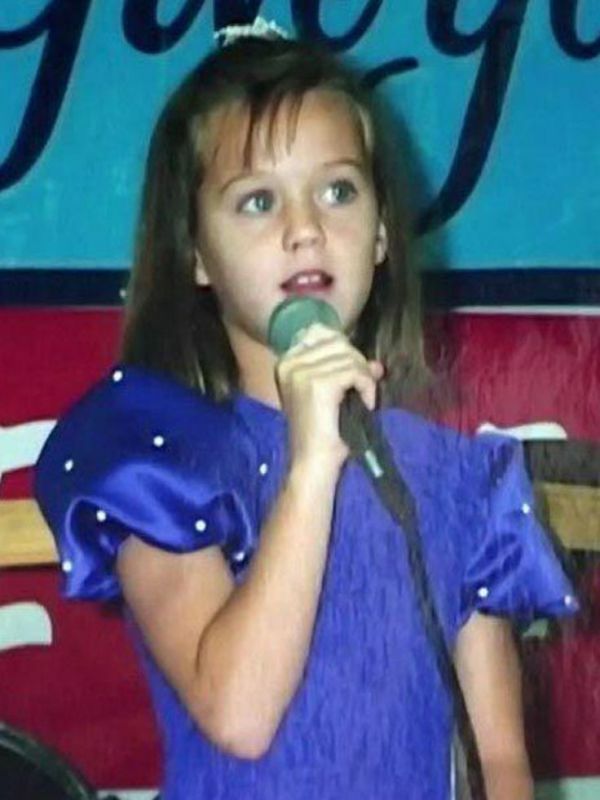 Katy started singing quite an early age of just 9. She used to sing in Church gospel choir before making it big in the music industry. This singer is not just a pretty face but is also a talented writer. She has written songs for Kelly Clarkson, Selena Gomez, and Ashley Tisdale. Just when we thought celebrities don’t really need a bucket list, this star shares in an interview that her bucket list includes climbing Machu Picchu, learning Spanish and figuring out how to crochet. 6. Just A Little Girl With Teddy Bear! Katy Perry admits that she always travels with a Teddy Bear which she is really attached to and has trouble sleeping when this cuddly thing is not around. How adorable she is!! 7. Kate has a Kitty Purry! The star has a cat named Kitty Purry. Couldn’t she have gotten more creative with the cat name? Known for her colored hair ranging from blue to green (to what not!! 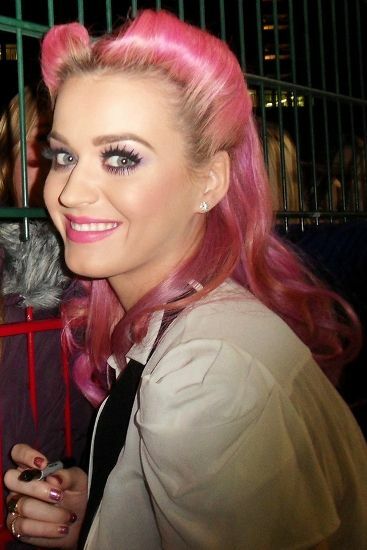 ), Katy admits that her real hair color is squirrel brown. 9. The Cutest Proposal by Russell Brand! Even though the much-hyped couple Katy Perry and Russell Brand split up and went their own ways, Brand proposed the singer in the cutest way possible. It was in India when they were on the elephant watching fireworks. 10. Her First Album Was A Big Flop! At the age of 16, Katy came up with her first Christian Pop Album by the real name ‘Katy Hudson’ which singer said literally reached 100 people, and the label went bankrupt after that. Surely a bad start! 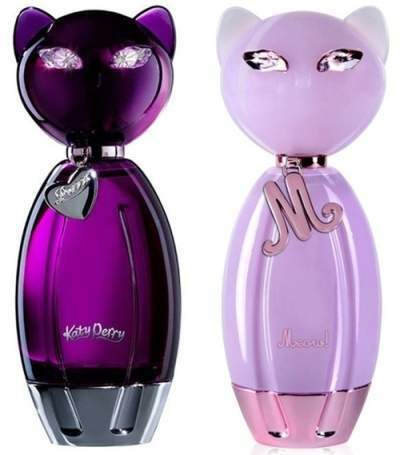 It seems like the star cannot get over her cat, so she named her branded perfume “Purr” which comes in a cat-shaped bottle. The design of the bottle is loosely based on her own pet feline. That’s surely a real love! 12. She Believes in Aliens! The singer has a strong belief in the existence of Aliens and thinks that pyramids are made by aliens. 13. Song ‘I Kissed A Girl’ Was No. 1 For Seven Weeks! Katy’s album hit no. “I kissed a girl” which was released in May 2008, peaked at No. 1 spot for straight seven weeks on Billboard Top 100. 14. Guinness World Record Holder! Katy has two Guinness Book World Records in her hat, one as “Best Star on the US Digital Chart by a Female Artist” in the year 2010 and the other as “Best First Female with Five Number One US Singles from 1 Album” in the year 2013. Even though the star does look like a real Barbie, when executives of Barbie approached her and asked if she would like to make her own doll, she said a joyous yes and got a Katy Perry-styled Barbie. Katy Perry once said in an interview that she suffers from high levels of OCD so much so that she wishes that the alphabets O, C, and D should be put together like CDO. Katy Perry is known to be a pill popper. She takes about 26-28 pills daily for her Vitamins. Isn’t it too much Katy? This talented singer and songwriter got featured on Forbes’ 100-highest-earning non-boxer celebrity list. Congrats Katy!! 19. Equivalent To Michael Jackson! 20. Celebrated her 28th Birthday With The First Lady! 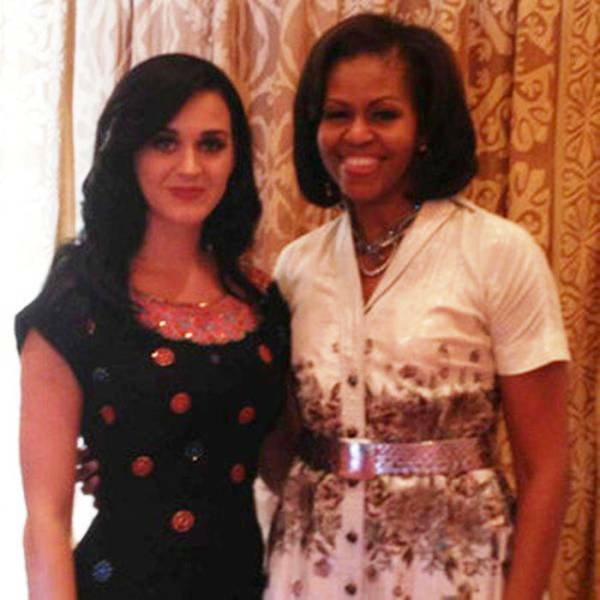 Katy Perry kicked off her 28th Birthday by having lunch with none other than the First Lady, Michelle Obama. Now that’s a great birthday!